Tundu Manga Ooruga / Fresh or Instant mango pickle establishes monopoly over all other side dishes during the mango season. 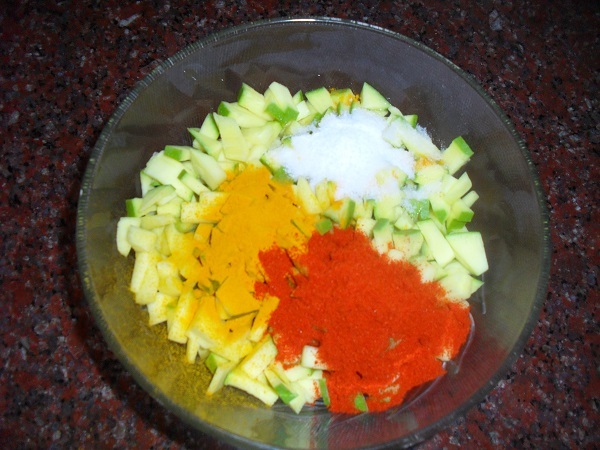 The fresh crunch of the mango pieces combined with the spice powders is so addictive, that my family loves to enjoy Tundu Manga Ooruga with each and every meal as long as the season lasts. 1. Dry roast fenugreek seeds until dark in colour, powder and keep aside. 2. 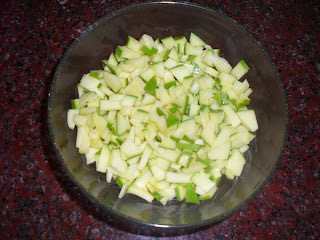 Wash and wipe the mango thoroughly, and chop it into small pieces. 3. 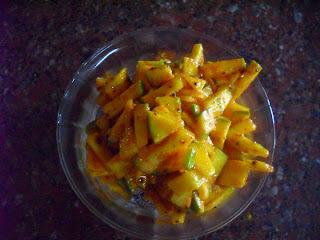 Spread the mango pieces on a paper towel so that it absorbs all the moisture. 4. Transfer the dry mango pieces into a clean and dry bowl. 5. 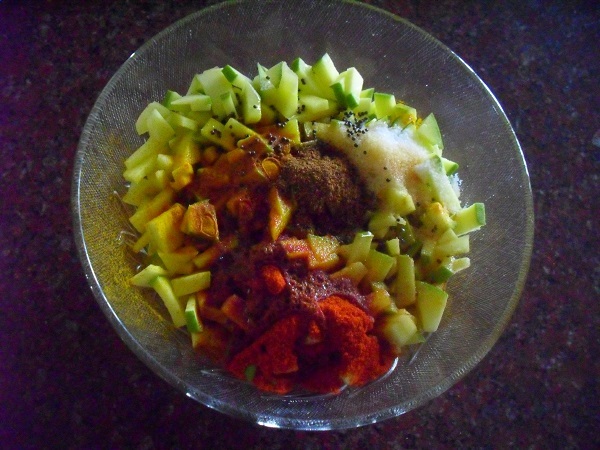 Top the mango pieces with chilly powder, turmeric powder and salt. 6. Heat oil in a seasoning ladle and add the mustard seeds. 7. 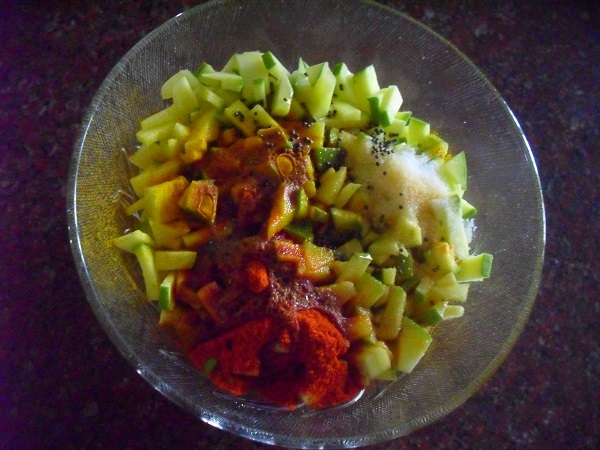 When the mustard seeds crackle add asafoetida and switch off flame. 8. Pour the seasoning all over the spice powders. 9. 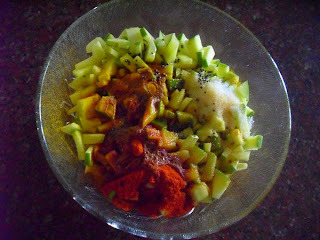 Add the roasted and powdered fenugreek powder. 10. Mix well using a dry spoon. 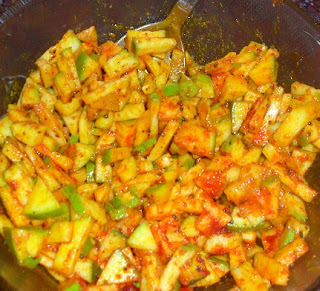 Fresh Tundu Manga Ooruga is ready to relish. 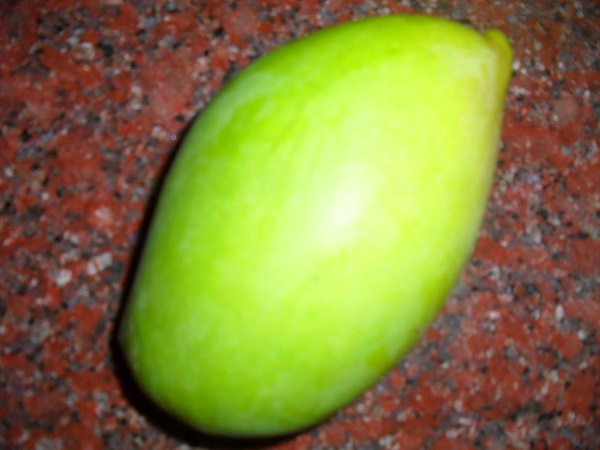 The freshness of Tundu Manga Ooruga will last for ten days under refrigeration. It is a perfect side dish for sambar and curd rice.